Denomination : AE-3/4. 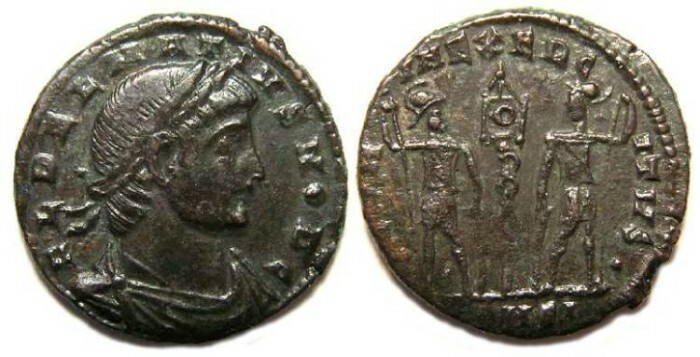 Mint : CONSI (Constantinople, 10th officina). Size : 15.8 x 16.4 Weight : 1.53 grams. Obverse : Head of Delmatius right, with FL DELMATIVS NOB C around. Reverse : Two soldiers standing either side of a standard, with GLORIA EXERCITVS around. The mint mark at the bottom reads CONSI (the CO is weak and the I is very small).